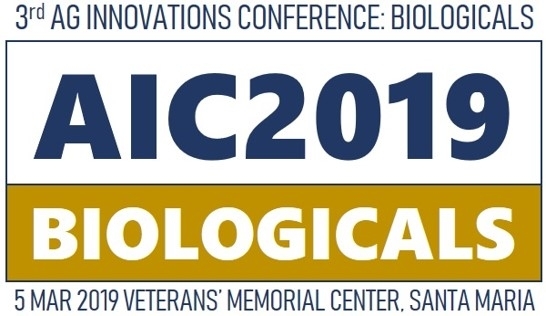 The purpose of the Ag Innovations Conference series is to introduce new technologies to the grower community by speakers from universities, research organizations, and the agriculture input industry. The first event in Santa Maria (2014) covered a variety of topics while the second one in San Diego (2017) was on microbial control. 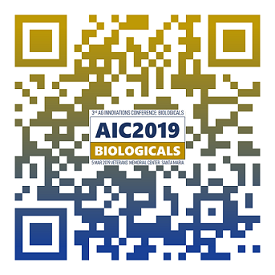 Considering the growing interest in biologicals and demand for sustainably produced food, the third conference is organized with carefully selected topics on biocontrol agents, biostimulants, and botanical and microbial pesticides and fungicides. Early registration until February 28 is $50 per individual and $100 for onsite registration. Registration includes lunch and refreshments. Please contact Hiromi Peck at 805-781-5940 if you have any questions about registration or if you are interested in participating in the trade show. Come join us for an informative day at the Veterans' Memorial Center (313 W Tunnell St, Santa Maria). 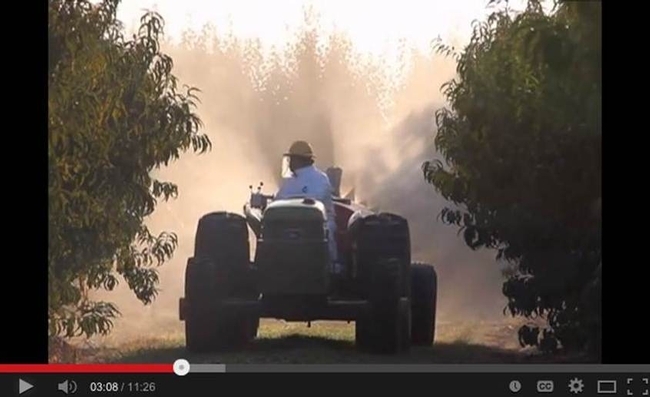 Walt Bentley, retired UC IPM Advisor, narrates this video showing a smart sprayer in action. 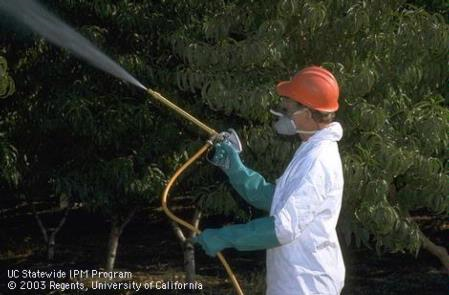 Smart sprayer technology is based on the use of high frequency sound waves. An onboard computer directs sound waves toward trees. 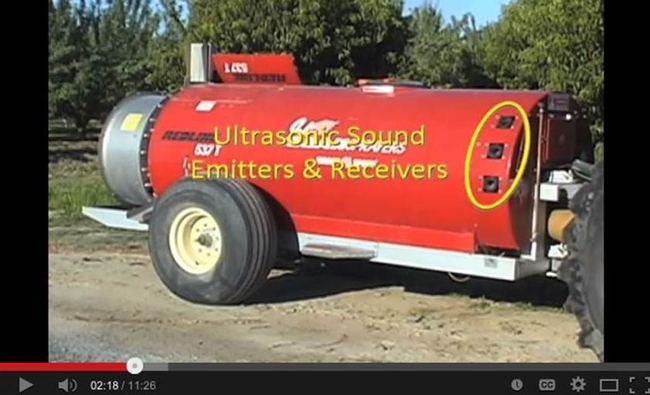 When sound waves are returned, a target is detected and the computer triggers nozzles to spray. When sound waves are not returned, a gap is identified, prompting the program to turn off nozzles. 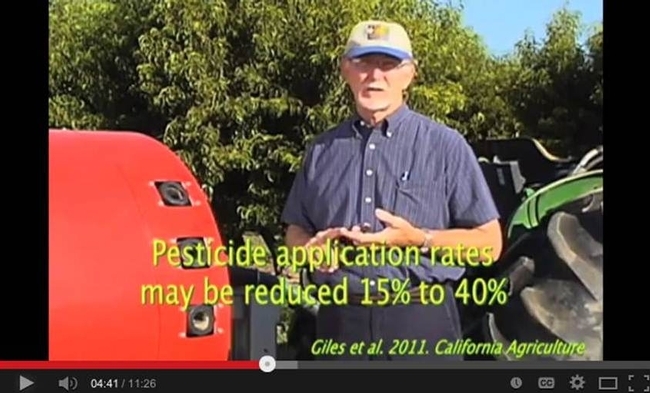 Find the video on the UC IPM Mitigation Pesticide Hazards page at http://www.ipm.ucdavis.edu/mitigation/index.html. Scroll down to the second bullet under “Before application.” Remember this page the next time you plan a pesticide application. It will help you consider practices that minimize environmental and efficacy problems.